Coffee shops are not few and far between in Chicago. There are places to get your java fix around every corner. What separates the men from the boys, however, is the establishment’s ability to welcome you for something other than a paper cup full of liquid energy to-go. A true coffee shop has to stamp itself into the neighborhood, offering options for socializing, meetings, music, good conversation, and community. So when we’re in Lincoln Park (or Logan Square), we always seek out Colectivo Coffee. If Colectivo is a new name to you, there’s a reason for that: founded in 1993, they remained in Wisconsin until early 2017 when they opened their first shop at the corner of Clark and Deming. Behind the funky flair and bright colors is a coffee spot dedicated to creating a second home for its visitors. Here’s why we love it. They stick to tradition: Colectivo roasts every single batch by hand on two “very old but very awesome” Probats. Every single bean they source is blended, packaged, and shipped fresh from their roastery in Milwaukee, Wisconsin. Coffee, eggs, and…kegs? : Even if you’re not a coffee drinker, you have to stop by for their homemade food, Colectivo Keg Company beer (yes, you can make this your happy hour spot too), and Letterbox Fine Tea. 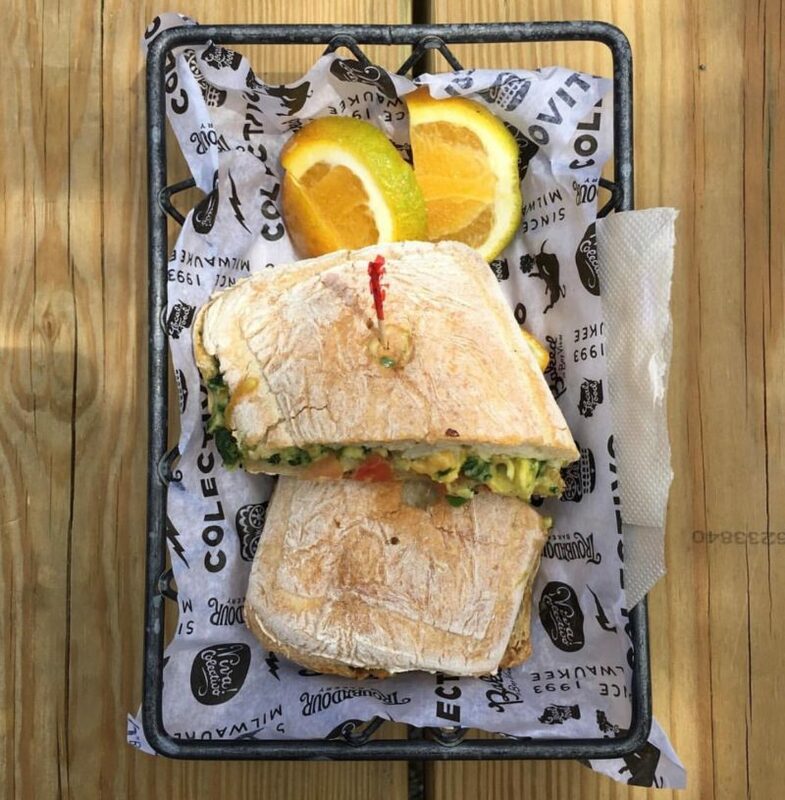 Our favorite food at Colectivo is the Scrambler Sandwich with its delicious egg, smoked cheddar, and vegetable blend on hot and fresh Troubadour bread. They bring the atmosphere: Their indoor space is eclectic and bright, and their patio more than doubles the size of the shop and provides warm spaces for groups and individuals alike. They cover and heat most of the patio in the winter so you still feel like you are outdoors but without all that cold and wind nonsense Chicago is so “famous” for. And even when there’s only a bit of chill in the air, Colectivo has fire pits to congregate around. It is truly an all-season spot that feels like it never gives up on the outdoors. They’re filling the void we never knew we had: We love the Lincoln Park neighborhood. There’s no doubt about it. On the half mile stretch of Clark Street between Fullerton and Diversey you can grab sushi, Hawaiian food, Korean BBQ, Peruvian chicken, and wash it all down with a made-from-scratch doughnut. 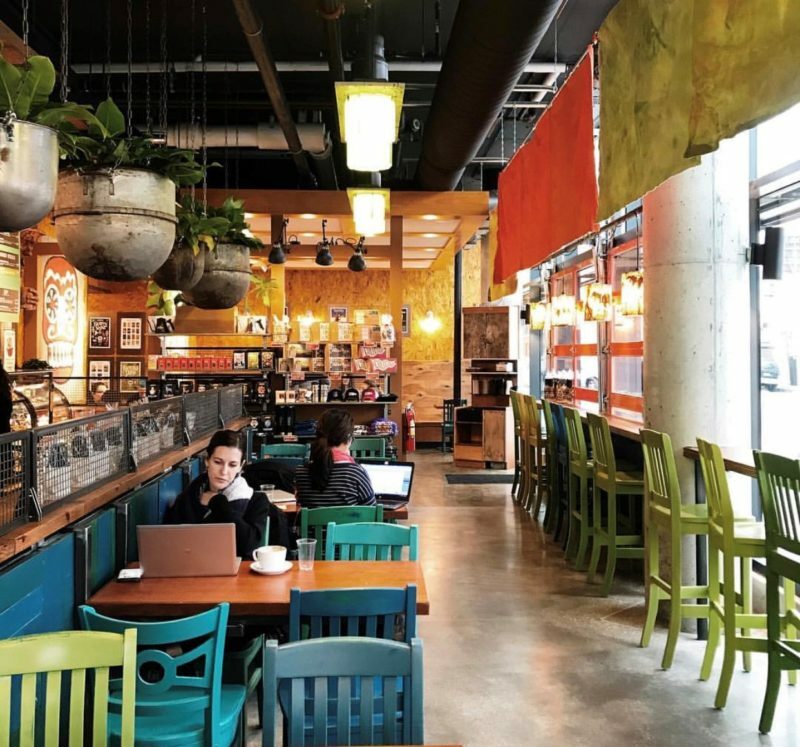 Colectivo has transformed the way coffee shops are viewed on this bustling street, and we can’t help but love how it seemingly completes the food scene just down the street from our Park Lincoln and Park Fullerton properties. It isn’t just a grab-and-go spot: it’s a community hub. Colectivo Lincoln Park, 2530 N. Clark Street, open 6:30am-9:00pm daily. Colectivo Logan Square, 2261 N. Milwaukee Avenue, open 6:30am-9:00pm daily.